Bill Protzmann is the Chief Inspiration Officer at Music Care, Inc., and on a mission to support music as readily accessible and effective for self-care. Our vets and their families will benefit from understanding of a universally available tool to raise spirits and to connect to each other: Music. 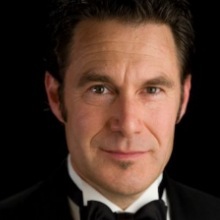 Bill is a highly accomplished musician, performance pianist, and entertainer. In 2011, he began sharing music with military audiences and a focus on providing education in music as a complementary therapy for PTS, depression, and anxiety, while also supporting patients suffering from Alzheimer’s. Music has been used by the VA since WWII, and many with chronic, long-term PTS have found help and a new willingness to talk with others after sharing music. Certain compositions and songs evoke strong memories; including healthy emotional release of fear, anger, happiness, and sadness. Music is the great unifier; and available nearly everywhere, including your smartphone! Download the podcast by clicking here http://bit.ly/MusicPTS, or click below to Listen Live, on demand 24/7. Also available in iTunes podcasts under Military Network Radio. Find out more at www.MusicCare.net. Air date: 22Mar2016.